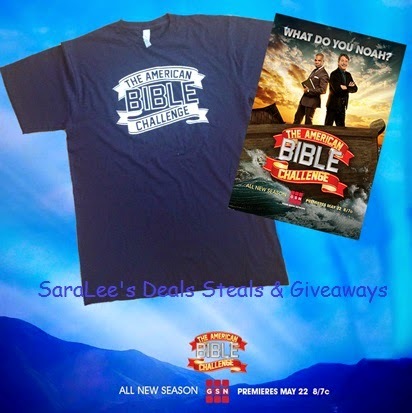 Now for the giveaway: One lucky person will win a The American Bible Challenge Prize Pack. This is open to US and ends 6/12/14 @ 11:59 pm est. To enter, Simply do the tasks on the Giveaway Tools widget below and you're set to have a chance to win! Remember you can't win if you don't enter. It only takes one entry to win!